Given that today I'm hosting one of my best friend's baby showers and that my favorite niece turned one yesterday, it seems timely to do a little feature on chic nurseries. Let me just say, I love designing spaces for kids. 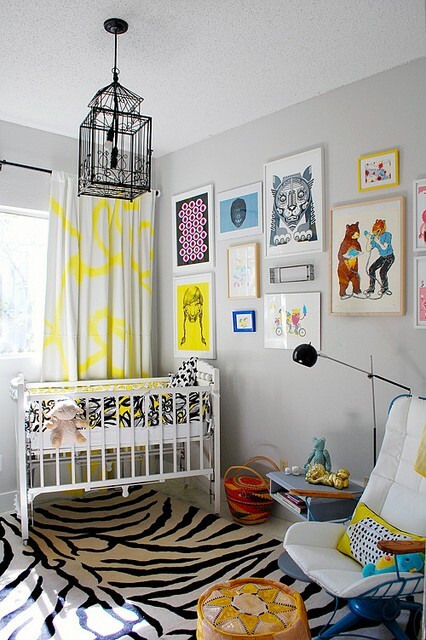 To me, a child's room should be imaginative and playful, functional, and ultimately a safe haven for it's resident. It shouldn't scream "baby", but it can't be too grown up either. You need the right balance. 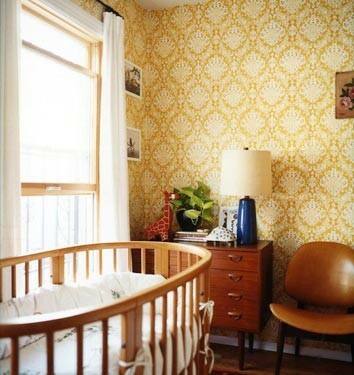 Nurseries are a great place for featuring a fantastic vintage or graphic wallpaper, some of your favorite art or a fantastic light fixture. And an eclectic approach here is great. Mixing the old with the new gives you a modern space with more personality. 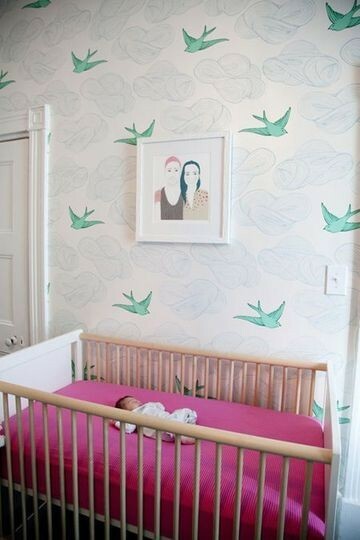 Try to have a base that your child can grow with, while celebrating the ephemerality of this baby stage.